The State of Indiana Department of Child Services (DCS) handles all aspects of child support. 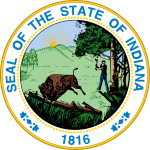 For Indiana parents who are seeking payment of back child support, DCS will provide enforcement services including locating non-paying parents and instituting enforcement proceedings. DCS will also establish child support orders based upon the provisions in Indiana law. DCS also provides a way for parents to electronically make child support payments.